Forth River Tasmania, Jan 7-9, 2019. 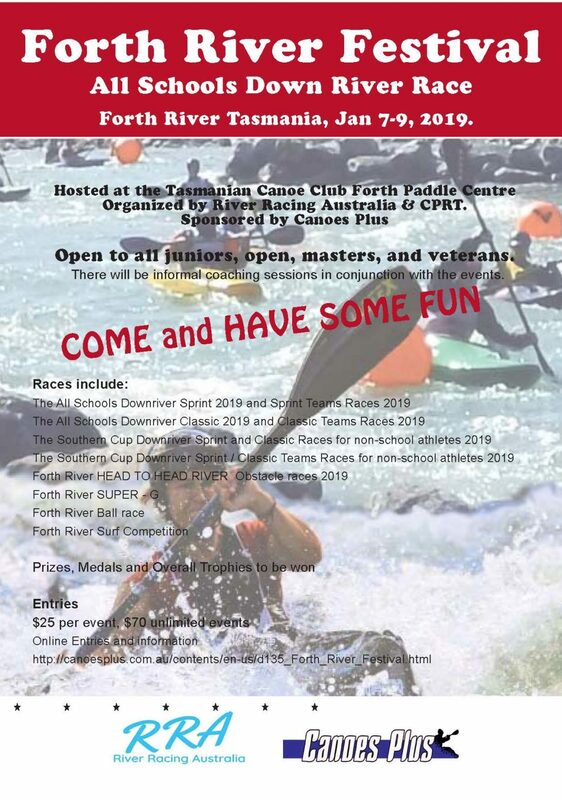 Hosted at the Tasmanian Canoe Club Forth Paddle Centre. Exclusively organised by River Racing Australia and CPRT who are incorporated clubs affiliated with their respective State Canoe Associations. Sponsored by Canoes Plus.